Margaret Holwell had just returned to Cartwright when she found out her mother had fallen at her long-term care home in Happy Valley-Goose Bay. "They said they went in and found her on the floor," Margaret Holwell said. Violet Holwell, 84, had to be medevaced to St. John's after an X-ray showed her hip was broken. But since Violet had been considered a high-risk patient since July, when she broke her pelvic bone, rails were supposed to be up on the bed at all times, said Margaret. "And so that's the thing going through your mind: 'So what happened? How'd she get out of bed?'" There's no way for Margaret or Violet's granddaughter, Stephanie Holwell, to know how their loved one got out of bed since she is supposed to be moved in and out only by a strap to lower her into a wheelchair. Violet herself sometimes has difficulty remembering things and doesn't recall exactly what happened. "It's all speculation," said Stephanie. "I really think that basically the ball was dropped and, you know, the bed rail wasn't put up when it needed to be." Violet's bed rails should have been let down only during meal times to allow the tray to fit over the bed, said Margaret. The manager of the long-term care home has said there will be an investigation, but the family doesn't blame the staff themselves. "I'm not blaming anything on the nurses. My goodness gracious, the nurses are phenomenal," said Margaret. "I personally think the thing is it's not enough staff — it's a lack of staff for the amount of people in that home I really think that's got to be changed." Stephanie said she thinks the staff are overworked. "I mean they're stretched to the point of — I guess they're tired and it probably does affect their daily responsibilities to the residents there," Stephanie said. Right now, the family is just looking for answers. "It's their obligation to investigate it, to see exactly what went on so that they can fix whatever issues they have there for, not only our grandmother, but for the other residents in the home," Stephanie said. Stephanie said Violet's relatives are able to check on her, but not all the residents have family nearby. "You've got residents here that don't see a soul and and it's sad for the nurses and staff too because, I mean, it's putting a lot of strain on them." 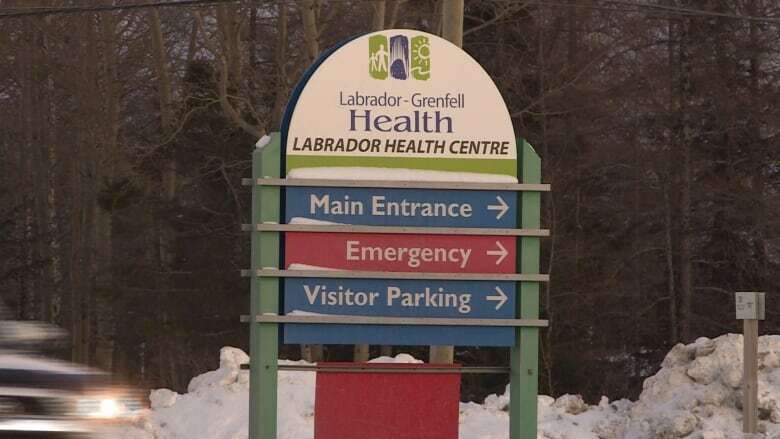 In an email to CBC, a spokesperson for the health authority said Labrador-Grenfell Health is "unable to publicly comment on specific details of any patient care due to privacy legislation." A committee was formed in November to address the staffing issues in Happy Valley-Goose Bay with members from the provincial health department, the health authority and the union.